It softened my heart, after years of having a hard heart. I would definitely recommend to others. At a time when I was in my darkest moments since reverting to Islam in 2009, when I was on the edge, close to leaving Islam, this webcast has renewed my faith. It brought me back to the moment when I first said the shahadah, heart full of imaan and light. It has made me look at the Prophet (pbuh) in an entirely different way then I could have ever imagined, and I must say, I am truly in love…This webcast has changed my life! A rejuvenation of my faith. There is nothing like being able to get a glimpse of the sheer beauty of our beloved. I always prayed to Allah swt to show me a way to become a better muslimah and a better person. I see this webcast as an answer to my prayers because we got examples about the best person, Prophet Muhammad pbuh.. I gained a lot of knowledge.. 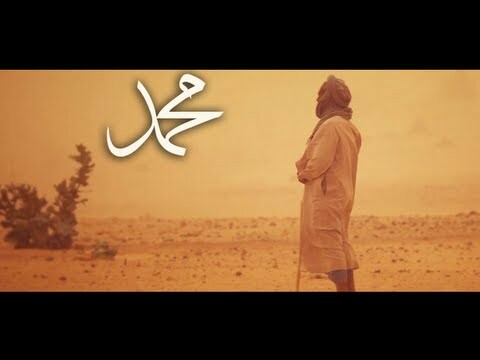 I absolutely recommend to watch it..it's so inspiring and eye opening, it's amazing getting to know so many details about private aspect of the Prophet's life, especially when there are so many prejudices and misunderstanding about his teachings. As I went to sleep and put my head on my pillow last night, accounting for what I did yesterday, I thought to myself, even though I was so unproductive in terms of work, homework, and other errands that needed to be done, Allah will surely be pleased with me spending my time for His sake in remembrance of Him and His Prophet. The most important thing for me was that it made me remember the Prophet sallaAllahu alayhi wa sallam. Hearing different stories from his life re-kindled the yearning to want to know more about him, to want to remember him and send salat and salam on him every passing second. Afterwards you feel like you want to pick up Martin Ling's book again and re-read all about his life, so it brings back that spark and motivation that you tend to lose overtime from getting caught up in dunya. I had already told my friend about this and got her to register for it (it was the first time being a part of CM for both of us), so yes, I would definitely recommend this to all my friends. Loved the interactive portions. It was really amazing knowing you're watching this with hundreds of other people from all around the world. Muslims, Non-muslims and Converts came together and it was probably one of the most beautiful sight, Masha'Allah, the community coming together celebrating the prophet Mohammed's life (peace and blessings be upon him) in the best way. As the broadcast was over, some said 'as I walk out of that door, I know my faith and love for our Prophet Mohammed (peace and blessings be upon him) has increased. Masha'Allah. Others said the highlight were the stories that made them love our Prophet Mohammed more (Peace be and blessings be upon him). My faith was saved. No matter how hard I've fallen God will take me back.